All done, we had a blast! 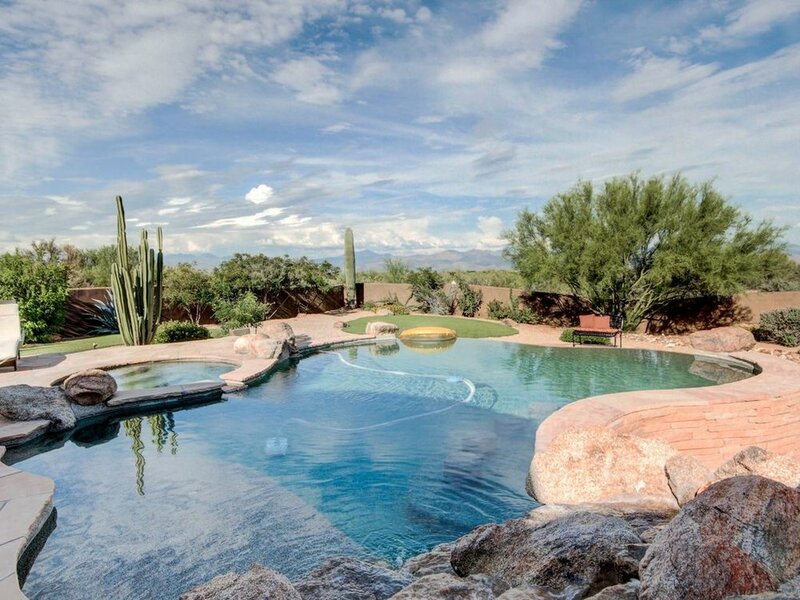 Escape the winter blues and come enjoy the warm sunshine in our desert. Get a head start so you'll be fresh and ready to rock when you get back home. Make lifelong friends and new connections with like minded riders. a luxury house to stay at. an experience to share together. Relaxing in a beautiful home and trading stories at the end of the day is the cornerstone of Bike Paradise vacations. We'll be riding in the middle of the warm desert on swoopy trails, with just enough tech to keep it fun! Time is also included to relax, because after all, you ARE on vacation, right? Is Bike Paradise right for you? 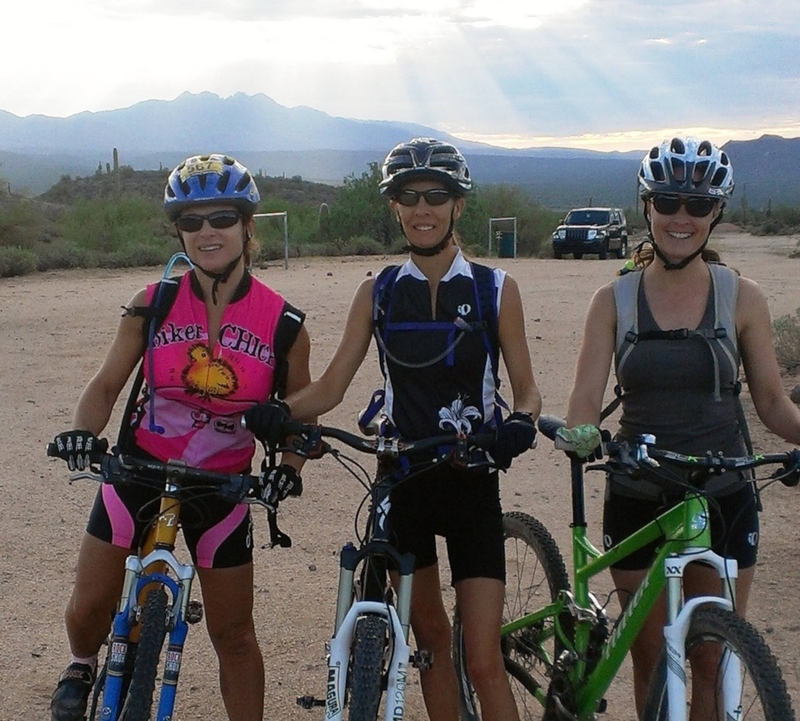 Warm up with off-season riding in the sunny, beautiful Sonoran desert. A little bit of technical riding mixed in with a whole lotta fun. Rides will be around 10-20 miles each with 500-1000 ft elevation changes, and area elevation around 2100 ft. No need to bring an oxygen bottle. Different paces will be accommodated. We're not gunning for Strava KOM or QOMs, just smiles and good vibes. Do you have a friend, partner or spouse who wants to come, but riding isn't their thing? They're welcome too, with a discounted rate! There's plenty of other activities we can help plan for them. I'm crazy excited about how much fun we're gonna have! Are you ready? Me too! Let's do this! We'll start your vacation on the afternoon of your arrival with introductions, an overview of the upcoming activities, and an orientation on riding in the desert. You'll enjoy a picturesque sunset during "happy hour", followed by dinner at the house. 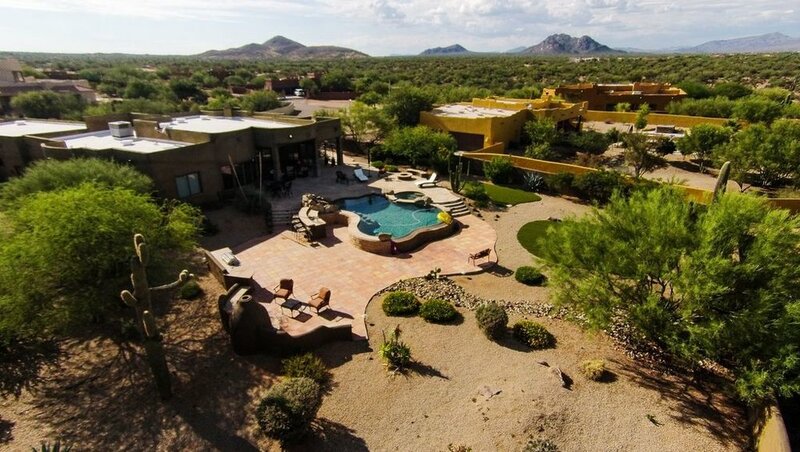 After breakfast, we'll embark from the house on a 2-3 hour ride through the McDowell Mountain Park. Snack on a trailside lunch, then we'll continue on the journey with a 1-2 hour ride, finishing back at the house. Enjoy a soak in the hot tub followed by dinner at the house. Breakfast is served at the house, then we'll go explore the amazing variety of trails and scenery at the eighboring Brown's Ranch trail network. After a trailside lunch, we'll start winding our way back. Relax a bit at the house and enjoy a complimentary myopractic stretching session. We'll then head to the iconic town of Cave Creek to enjoy dinner out. Today we'll explore some more of the McDowell Mountain Park. After lunch on the trail, enjoy a leisurely ride back to the house, or save your legs for tomorrow with an optional shuttle ride back. Back at the house, you can enjoy a massage, relax and freshen up, then we'll head out to the local Bone Haus Brewery. After another delicious breakfast, we'll return to the neighboring Brown's Ranch trail system one last time. We'll do some more exploring there for about 2 hours with lunch at the classic Cathedral Rock. We'll then hop back on our bikes and enjoy a mellow 1-2 hour ride back to the house. Enjoy our final dinner at the house as we wrap up the vacation. Day 6 (morning) Savor one last sunrise from the hot tub, then stuff yourself with homemade sourdough pancakes and bacon as we say our goodbyes and farewells. Bike Paradise was started by Scott Givens, an avid mountain biker with over 25 years of riding and competing under his pedals. A BICP Level 2 certified ride guide and skills coach, he's been coaching and guiding beginner and intermediate riders since 2013 through pedalTherapy.com. Additionally, for over 10 years, Scott has provided coaching, ride guiding and logistical support for Magura's annual press camps in Sedona (he's also known to make some delicious sourdough pancakes). The unique formula under which these camps are run are the backbone of Bike Paradise vacations. You can learn more about Scott here. Come experience the community feel of the home coupled with the privacy of the luxury rooms. 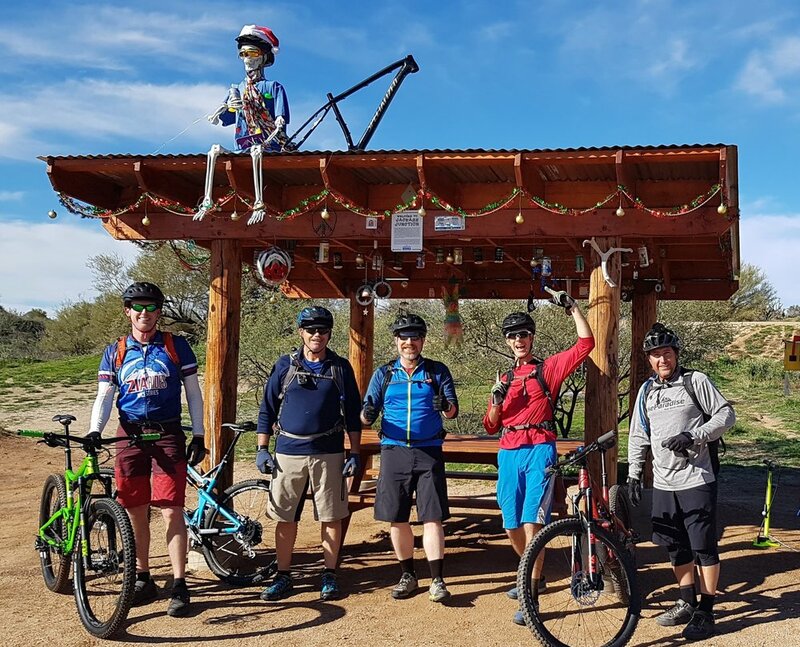 Throw in quality rides with delicious post-ride food, plus the camaraderie and memories established on each trip, and you will want to come back to Bike Paradise over and over again. We only have room for 8 people per trip. Ready to join us? Right on!